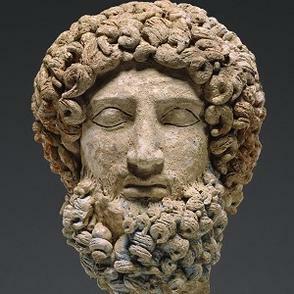 Three years ago I reported that the J. Paul Getty Museum would be returning a terracotta head of Hades to Italy. It appears to be derived from a sanctuary of Demeter and Persephone ("the decision to transfer this head is based on the discovery of four terracotta fragments found near Morgantina in Sicily, similar in style and medium to the Getty head"). The head will be handed over to the Italian authoroties in Los Angeles tomorrow (Friday, January 29, 2016) [press release]. It will then be displayed in the museum at Aidone next to the 'Aphrodite' from Morgantina (announced in 2007; returned in 2011). The Getty has yet to issue a press statement, but for convenience here is the one from 2013. Is this the time for the Getty to be releasing the full collecting history of other Tempelsman material? And what about the 'Cleveland Victoria' in the Cleveland Museum of Art?